Behind the Scenes of "Surprised By Love"
Solid Research is Historical Fiction Author Sandra Merville Hart's Hallmark. 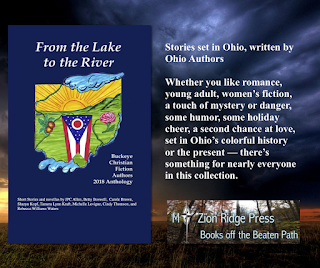 As she is one of the Nine authors in the Buckeye Christian Fiction Anthology 2018, I asked her to give us a glimpse into her research and crafting of the story, Surprised by Love. A school event for my daughter took us to Troy. The quaint city captivated me from the first visit. It felt like something ought to happen there—and that was before I was writing! A few years later, fellow authors discussed a novella collection set in Ohio locations. My mind raced back to Troy. What could I write about? My husband and I drove there on a mission of discovery. While at the Museum of Troy History, I learned about a terrible flood that displaced many Troy citizens and even took the lives of a few. The way the townspeople pulled together to meet the tragedy inspired me and led to the writing of this story. I purchased Images of America: Troy and the Great Flood of 1913 to aid in my research. Then we walked around the town square, visiting shops. We discovered a bookstore near the square. 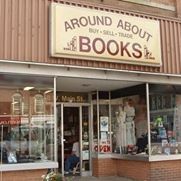 Around About Books is a treasure. In fact, my fellow authors in this book will participate in a booksigning event there on October 6th—so this has become such a special place to me. We ate at a lovely diner, K’s Hamburger Shop, that has been on Troy’s Main Street since 1935. My story is set in 1913 so it wasn’t there during the flood, but the whole place gave me a feeling of historic nostalgia. After reading the book and doing online research, I was ready to write the story. My imagination soared from all the information I’d learned—the first draft of the novella, Surprised by Love, was written in two weeks! That remains the record for me. 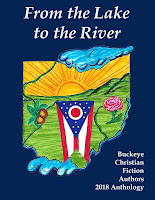 Researching The Flood of 1913—Ohio’s greatest natural disaster—inspired me to write the story. Visiting the location, museums, shops, and diners added atmosphere to my story. Yet without written research sources about the flood, I couldn’t have added wonderful historical details that add depth to the story. Research is an integral part of writing historical novels. Sandra’s bio: Award-winning author Sandra Merville Hart loves to uncover little-known, yet fascinating facts about our American history to include in her stories. Her debut Civil War Romance, A Stranger on My Land was a IRCA Finalist 2015. A Rebel in My House, set during the Battle of Gettysburg, won the 2018 Silver Illumination Award and second place in 2018 FHL Readers' Choice Award. A Musket in My Hands, where two sisters join the Confederate army with the men they love, releases November of 2018. 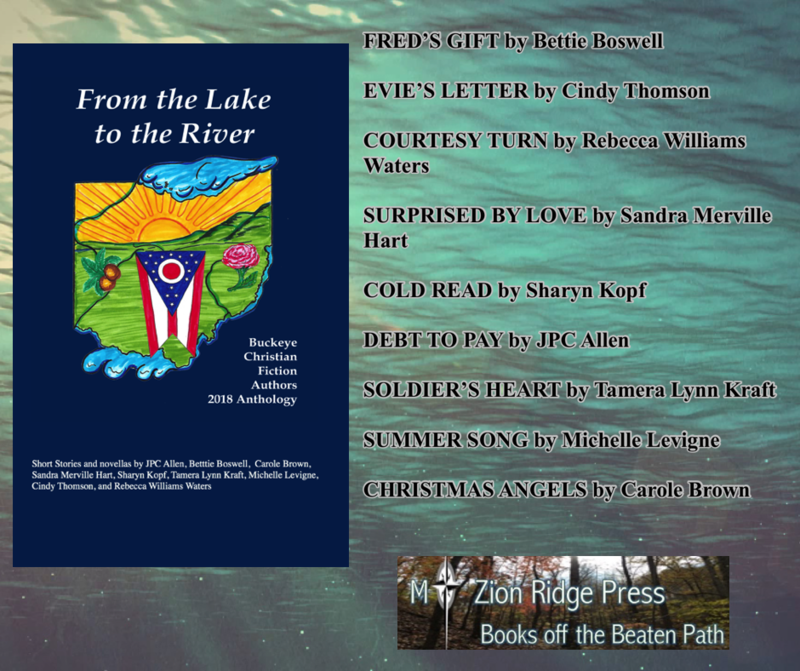 Her novella, Surprised by Love in “From the Lake to the River” released in September of 2018. Trail’s End, in “Smitten Novella Collection: The Cowboys” releases in August of 2019. Find her on her blog, https://sandramervillehart.wordpress.com/. Lottie’s feelings for an old school crush blossom again during the worst flood her town has endured in years. Lottie shoulders the burden for her siblings after their mother’s death. Her seventeen-year-old brother’s disobedience troubles her, especially since she also cares for the boarders in their home. When the flooding river invades not only the town of Troy but also her home, Lottie and her family need to be rescued. Desperate circumstances throw Lottie and Joe, her schoolgirl crush, together. Can tragedy unite the couple to make her long-buried dream of winning his love come true? If you read my last post, you know I now live in a house located on what used to be my grandparent’s farm. Last weekend several of my cousins and their families came to my house for a family reunion. We ate and reminisced of our childhood days. We played a crazy game of relay ping-pong. And we laughed. It felt good. Talk fell to the summer Grandpa died of cancer and how shortly after that, Grandma sold the farm. Grandpa was sixty-six years old when he died. Many of us are now close to that or a bit beyond. Many of us are grandparents ourselves. Of course we are “younger” than Grandma and Grandpa ever were… in our minds. But this blog isn’t actually about the reunion. It is about living in the will of God. It is about listening to His voice and doing what He asks. Tom and I always tried to do that. We haven’t always been successful because sometimes we’ve been stubborn and selfish. From time-to-time we slipped off the path but kept climbing back up on the road. God nudged us along the way. God tells us our days are numbered. When Tom died in 2014, our family could see evidence that it was his time. It brought us comfort. God knew all along that Tom would leave this earth on October 29th of that year. The reunion brought back another sweet memory for me. It was a time God nudged us in the direction He wanted to take us. It happened in July of 1971. But to understand it I need to take you back to 1970, the year Tom asked me to marry him. I met Tom when I was sixteen years old but didn’t start dating him until I was seventeen. That was in the summer of 1970. My grandparents were visiting us. They took an immediate liking to “Tommy.” The feeling was mutual. Tom thought they were great. When Tom asked me to marry him at Christmas that year, they were among the first people we told. I was seventeen and Tom was eighteen when we became engaged. I was a senior in high school and Tom was a freshman at the University of South Florida. We told my parents we wanted to wait until at least one of us finished college before we married. It was a plan. Then, on July 16, 1971, my grandfather died. It was his sixty-sixth birthday. I clearly remember the drive home from the funeral. My parents were in the front seat and Tom and I were in the back. “Your grandpa was so young,” Tom told me. He talked about how much he admired my grandparents. We talked about how devastated Grandma was over losing Grandpa. And so… on that drive home with my mom and dad… we planned our wedding for December. December 18, 1971. I was eighteen and Tom was nineteen. Forty-three years later he was gone, but I have the sweet memory that he got what he wanted. He was married to me as long as he could be. I hold onto the joy of listening to God as He nudged us along the way. This next Saturday my family will gather in honor of Tom’s birthday. He would have been sixty-six. This post may seem sad to some. But to me it is yet another piece of evidence that God can indeed see around the corners. He has a plan for each of us. We need only to move forward when He nudges us along. I find comfort and peace in that. Imagine. The Creator of the universe has a plan for each of us. And we are made privy to it if we listen with our hearts. As a child I lived in “the little house” on the northernmost side of my grandparents farm. It was actually a fairly good-sized house with a barn and chicken coop as well as a pasture for my pony. There was a creek running through it and an orchard. I’m not sure if that orchard belonged with the property where we lived or was part of the larger farm, house, and holdings where my grandparents resided. It didn’t matter. I had acres and acres of land to explore. I loved it in part because it was the house where my dad was born. He had memories there. My grandmother shared stories with me of when she and Grandpa lived in that house before they bought the adjacent farm. I was building new memories of my own. I rode my pony on all sorts of adventures I created. The barn could be a castle one day and a fort the next. I could easily walk up the hill by the creek, past the pond and head down a long lane between the fields to reach Grandma’s house. Grandma always had candy or a piece of gum in her kitchen cupboard for grandchildren who came for a visit. She was very creative and made dolls and toys. She also liked to write, so she and I shared our stories. There were two wooded areas on grandma and grandpa’s farm. The “little woods” was located behind our house and the “big woods” was located on the southernmost part of their large farm. There was a pond near each of them. I went fishing in those ponds with my grandfather and hunted for squirrels with my dad in the woods. (My dad continued to take me squirrel hunting even though I had the bad habit of shouting out, “There’s one, Daddy!” scaring the squirrels away.) Grandma and I hunted for fossils in the creek in the big woods. I climbed the trees and the rafters in the barn. I played with trucks in the dirt. I was what was called a tomboy. It was a completely acceptable, almost endearing moniker at the time. My mother sewed beautiful dresses for me and probably envisioned me playing quietly with my dolls. But she didn’t fuss too much at my tomboy ways. I always suspected she, too, was a tomboy in her day. Of course I didn’t share with her every dangerous activity in which I engaged. It’s not that I was sneaky. I merely protected her from worry. My parents and I only lived in the “little house” for a couple of years before moving to our own farm. But that time holds a special place in my heart. I lived there during second grade. I loved school and I loved my teacher. My second grade year was to set the course of my life. · I gave my life to Christ. · I decided to be a teacher like Mrs. Salyers. · I had a story published in the school newspaper. My first published piece ever. I decided to be a writer, too. My grandfather died in 1971. My grandmother sold the farm and moved to closer to us. I always thought she was very brave to leave all that she ever knew. In 2017 I sold the house where my husband and I lived for nearly a quarter of a century and searched for a smaller home. I looked at several houses and finally found one that suited me and met my needs. I asked my cousin John to help me with the inspection. He arrived at the house before me and met me with a grin. “You know where this house is located?” he asked. My house is the smallest in the subdivision so I call it “My Little House in the Big Woods.” Sound familiar? That’s okay. I like the idea of following in the footsteps of other tomboy-turned-author women like Laura Ingalls Wilder and Louisa May Alcott. I don’t have a pony anymore and the closest thing I have to a barn is the little lawnmower shed in my back yard. I may not climb trees but I still view life with a sense of adventure. Now I create most of my adventures while sitting in front of my computer, though. I'm sure that offers a great sense of relief to my sweet mother. 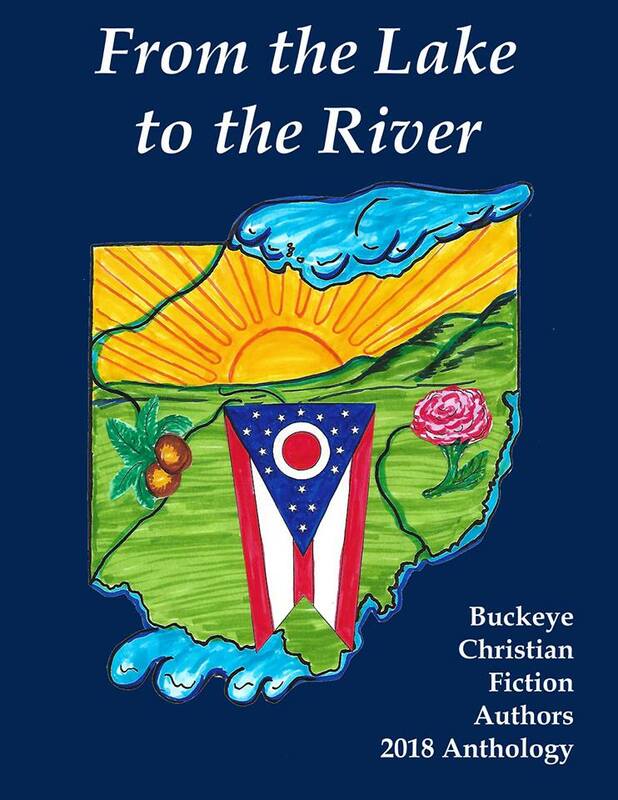 The Buckeye Christian Fiction Anthology, From the Lake to the River is now available. My story in it, Courtesy Turn, takes place in another Ohio barn, The Hayloft in Cincinnati. The story features square dancing, a popular activity in Ohio and around the world. I love connecting with my readers! Today I want to explore the idea that there is much to learn about the craft of writing through people who are not writers. This quote popped up on my twitter feed from a woman I know through Qualitative Research Consultants Association (QRCA). It is attributed to Marc Randolph, cofounder of Netflix. Here is the picture I saw on Twitter. Thank you @SusanAbbott for sharing. I suspect Randolph was addressing the business community. But he could just as easily been talking to fiction writers. The strength of the novel is in the problem. · The “hook” is the problem our protagonist must face. · The problem is the core of the tension in the book. · Why that problem exists is the backstory of the antagonist that unfolds throughout the manuscript. · Who has that problem and under what circumstances is the story itself. It is the how and where our unsuspecting protagonist and up-to-no-good antagonist cross paths. · The fact there are hundreds of possible solutions make the book a page-turner. Especially the possible solutions that fail. We get the readers hopes up only to fail miserably at fixing everything and having to start all over. Randolph’s advice via that tweet was perfect timing for me. I am currently crafting a suspense novel. I want the solution. I want a satisfying end to the book. But I can’t rush getting there. I need to “fall in love with the problem.” The problem is what will hold my interest as I push my characters into situations I create and get them through as changed people. And I need to come up as many possible solutions to their dilemma as I can. As many “what ifs” I can create for my protagonist to find along the way. If the problem holds my interest as I write, it will hold the interest of my readers. If you’ve been following my blog you may have picked up on a theme of sorts these past few weeks. Connections. As writers, we need to connect with people outside the writing community as well those within the writing community. We already know stories are found in headlines, but how to be stronger writers may be found in talking with business leaders, researchers, and others. Or in this case…on Twitter.